Set against the backdrop of the Atlantic Ocean, is the famous King Hassan II Mosque- one of Casablanca’s most visited sites, and a place of worship for millions. The busiest time of year is during Ramadan. At it’s capacity the mosque can hold as many as 25,000 visitors inside, and 80,000 on its grounds for prayer. The planning and construction of this magnificent structure was funded entirely by the public, and it was built in a short span of seven years from 1986 to 1993. 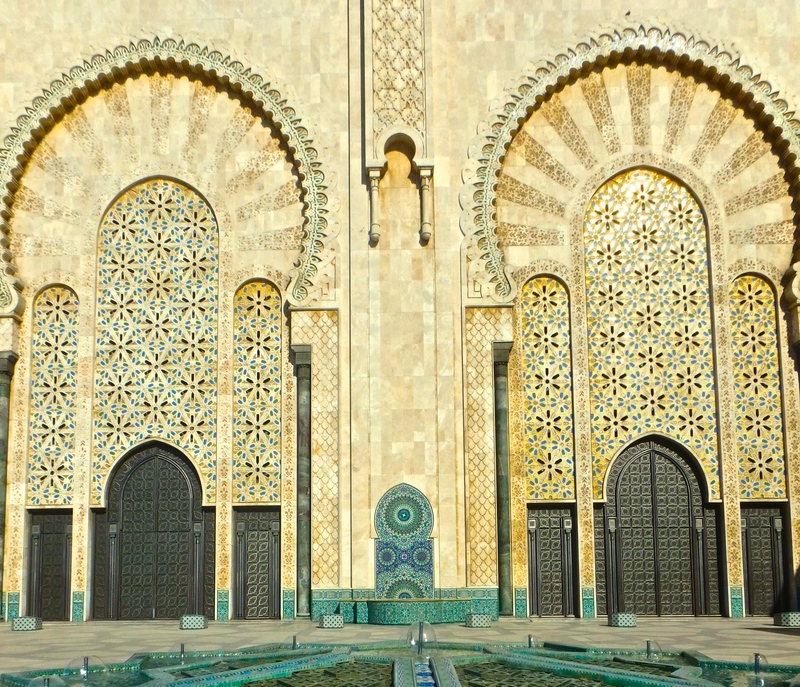 The Hassan II Mosque was commissioned by King Hassan II and designed by a French architect Michel Pinseau. It is the third largest of its kind internationally, falling behind only the Haramain Mosque in Mecca and the Prophet’s Mosque in Medina. The mosque is decorated with intricately carved stucco and unique mosaics in various shades of blue. The mosque’s minaret, from which the call to prayer is proclaimed, stands 650 feet high. Inside, the mosque’s 200 foot high ceiling is retractable to allow air in during the hot summer months. The building is actually partially constructed over water, and this portion has a glass floor through which the ocean can be seen. Elegant chandeliers serve as both decoration and light sources during the evening. 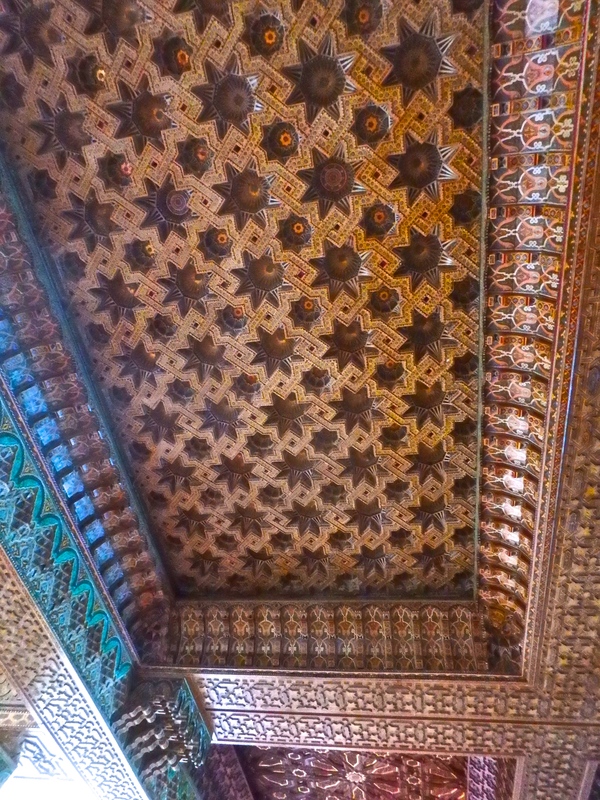 The chandeliers’ glass comes from Spain, making them the only portion of the mosque not composed entirely of Moroccan resources. Direct flights to Morocco from NYC are available on Royal Air Maroc into Casablanca’s Mohammed V Airport (airport code: CMN). Non-stop flights to Morocco are also available from several European cities, including Marrakech, Brussels, Lisbon, Paris, Frankfurt and Madrid. From the airport, a taxi ride directly to the mosque will take approximately an hour. There are also many hotels conveniently located in the vicinity of the mosque. Morocco can be very hot from May to September, so best to plan a trip in the fall, winter or spring. Fortunately, the mosque’s unique architecture limits the humidity felt inside. This is one of the few mosques which is open to non-Muslims, and even here access is restricted to four scheduled tours in English days of the week. The tours are scheduled at 9am, 10am, 11am and 2pm from Saturday to Thursday. Friday is a holy day, hence the lack of scheduled tours. During Ramadan, the mosque becomes very busy and may be more difficult to visit, however the rest of the year the building is easily accessible to tourism. Visitors to Morocco, and specifically the mosque, should dress in moderately conservative clothing. Long, looser pants or skirts for women and shirts reaching the elbow are most commonly seen. Although it is not required, it is recommended for women to cover their heads with scarves out of respect when visiting religious sites. Upon entering the mosque, visitors will be given a plastic bag to put their shoes in. Outside of religious sites, Casablanca is the most cosmopolitan of Morocco’s cities and clothing styles mirror trends seen in both Europe and the United States. 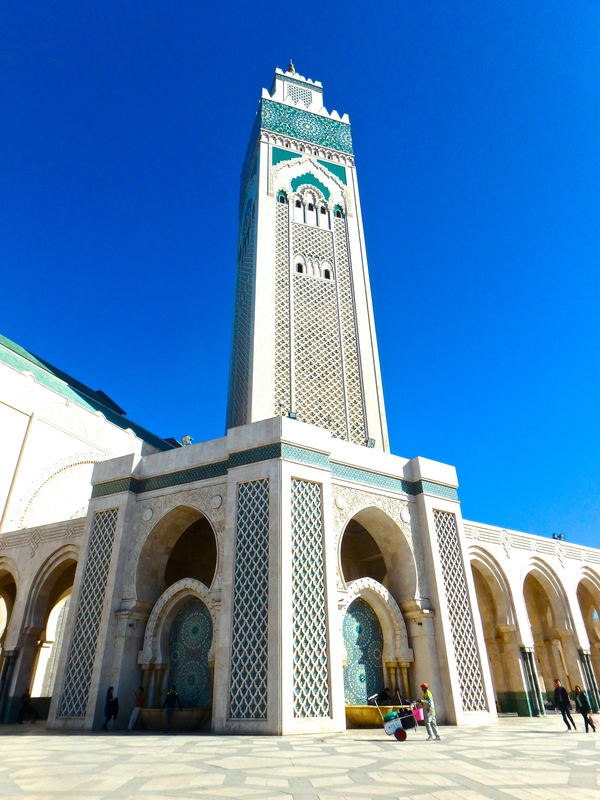 The Hassan II Mosque is by far the most visited site by tourists traveling to Casablanca. For those short on time, this should be the main tourist site to see in Casablanca before traveling to the cities of Marrakech, Fez, or Agadir. Travelers with more time should visit the Habous area of Casablanca, which was an area created by the French in the 1930s to solve the housing crisis. Here travelers will find European influences juxtaposed against Moroccan riads, traditional Moroccan markets and souks. Spend a few hours wandering through this area before leaving Casablanca. Being a more cosmopolitan city, Casablanca does offer nightlife and a variety of restaurants for international travelers.